As the Galaxy Tab 3 8.0 has started to hit the store shelves, a lot of Samsung lovers have already bought it. In fact, a lot of development is going on for the tablet. 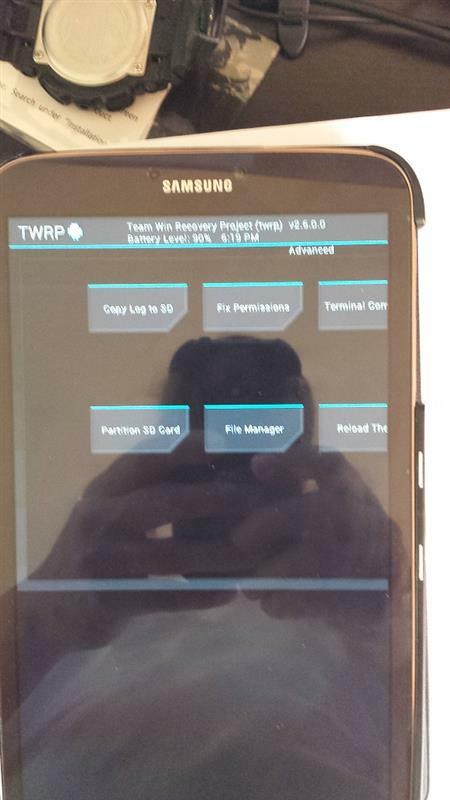 Yesterday, CWM for the Tab 3 8.0 was made available and today, we have the touchscreen friendly clockwork mod – the TWRP. Unlike CWM, the only way to flash it is via ODIN.Download recovery for T310 from here; for T311 from here and for T315 from here. 2. Restart in “Download Mode” by holding the “HOME” button, “Volume Down” and “Power” all at the same time (for about 5 seconds). 3. Hit the “Volume Up” to enter download mode. 4. Start the ODIN exe program. 5. Connect the device via USB to your computer. Verify the device shows as “Added” in the Message box. 6. Select “PDA” then choose the recovery file you want to flash. 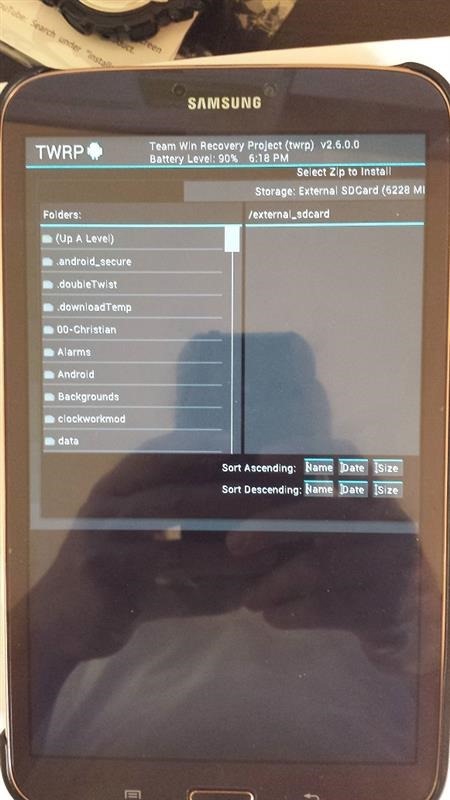 So now you will be able to flash the latest custom ROM on it. This is the v2.8.7.0 and it will allow you to flash any ROM or hack with ease.